Bloom Booster for increased flower and resin production. During field testing, Advanced Nutrients Big Bud (0-1-3) overwhelmingly beat all of it’s competitors. The reason? 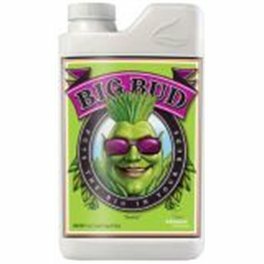 Big Bud’s specific ratios of phosphorous, potassium, magnesium and L-form amino acids. This products harvest-boosting power will significantly increase the weight, quality and density of your flowers and can be used with any feed program. Give it a try for heavier yields — that taste great!